Providing solutions for the full spectrum of civil construction since 1995. 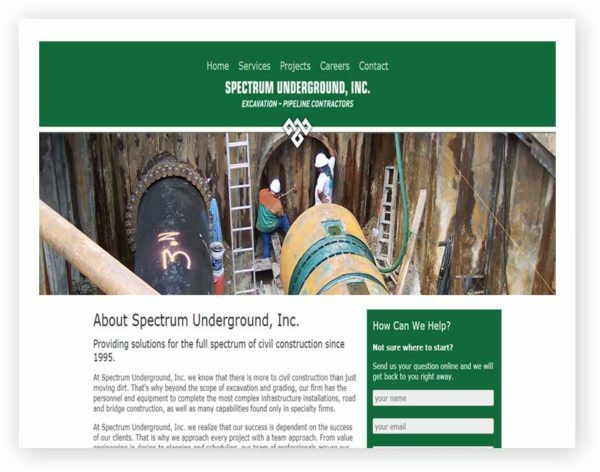 At Spectrum Underground, Inc. we know that there is more to civil construction than just moving dirt. That’s why beyond the scope of excavation and grading, our firm has the personnel and equipment to complete the most complex infrastructure installations, road and bridge construction, as well as many capabilities found only in specialty firms. At Spectrum Underground, Inc. we realize that our success is dependent on the success of our clients.